“Iconoclastic” as I am thought to be on race, I have been struck by how equally unexpected one view of mine has been considered: that much of Shakespeare’s language is impossible to comprehend meaningfully in real time, so much so that most first-time viewers of a Shakespeare play are understanding grievously less of the meaning than they are aware. Of late, I had a chance to retest my impressions, since the Royal Shakespeare Company is currently doing five Shakespearean plays in repertory in New York and I just caught their magnificent As You Like It. Note, I said magnificent—it’s not that I do not esteem Shakespeare. However, after an exchange on this subject with David Crystal last summer (upcoming in Voice and Speech Review), I was interested in testing my convictions under what many consider the ideal conditions for experiencing Shakespeare: I am often told that the comprehension problem all but vanishes when the plays are performed with top-notch British actors. Even the acoustics were right, as the RSC has actually reconstructed their theater inside the Park Avenue Armory (ah, real government subsidies for the arts). First, however, I should dispel two possible misimpressions. I am not arguing that Shakespeare’s language can be too “dense” or “poetic,” but that it can be simply incomprehensible because of the passage of time. Also, I am referring to taking in the language through the ear during a live performance, not reading and referring to footnotes. In any case, the question at As You Like It: When an excellent and highly trained British actor delivers Shakespearean language a few feet away from us, can we always understand the basic meaning of the sentences he or she utters? I found that the company’s high level of skill, including the lucid staging and direction, indeed did much to get across the language’s meaning. It left me still uncomfortable that it takes these kinds of chops to pull it off: After all, there are only so many companies like this. But more to the point, in more than a few places, even in this production, it was quite impossible to follow the meaning. Not because the actors weren’t doing their job, but simply because time has passed. And even if I know about the cuckoldry reference, what, prithee, are “good horns”? There was no time to muse, because then we were on to the part about poor men—but why would anyone suppose that poor men’s wives were more likely to be unfaithful? The cultural context that made the answer clear is lost to us. We move on—um, why is a married man’s forehead more honorable than a bachelor’s? And then the final sentence requires us to glean that the “by how much … by so much” construction is equivalent to our “to the extent that” construction. Sure, I can muse on all of this reading it later at home—and did. But in the theater all of this goes by in less than a minute. Certainly most of the play was not this tough to process in real time—“All the world’s a stage” was crystal clear—but a good deal of it was. It also lost me when, for example, Duke Senior, capping a moving tale of Jaques’ tenderness for a dying deer, commands “Show me to the place: I love to cope him in these sullen fits, for then he’s full of matter.” I couldn’t get what cope or matter meant, especially because my head was still grappling with nailing down who Jaques was at this early stage in the play. I was with four experienced theatergoers, and all agreed that the scenes I recalled as opaque were equally so to them as well. I came away thinking that one approach to this language issue is to suppose that it is okay to typically miss about a fifth of what Shakespeare’s characters mean (beyond broad outlines that do not make clear why we consider him a genius). But I have always yearned for better than this, for myself and for everybody else. 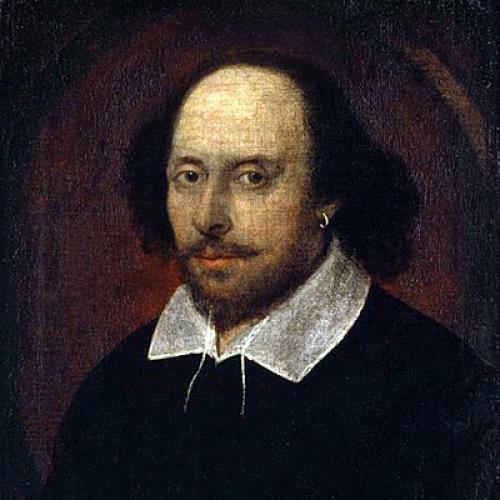 In the past I have suggested careful translation into modern English of the passages in Shakespeare that truly cannot come across intelligibly. However, an alternative would be the general acceptance that anyone who wants to get a full meal from a Shakespearean evening should read the play beforehand. Seeing Shakespeare cold would seem, in the future, as antique as it is beginning to be to see an opera without supertitles. In fact, if we accepted that Shakespearean language, while aesthetically beautiful to hear in many ways, must be treated as spoken writing, we would be on our way to becoming what I imagine as a linguistically ideal society—a topic I touch upon in my book coming out next week, What Language Is (And What It Isn’t and What It Could Be) (which is not about Shakespeare, for the record). Namely, there is casual speech—baggy, emotional, choppy—and written language—tight, cool, long-winded. But then, there are two other categories complementing these, less apparent as categories, per se, but equally central to human expression and ideally subject to less confusion and controversy. One is written speech—i.e., emails, texts, and the like, which would cease to alarm people as sullying “writing” if classified as talking with the fingers. Then, there is spoken writing. In the old days this was speeches pitched on the oratorical level of William Jennings Bryan’s “Cross of Gold” set piece. Today, this place could be occupied by Shakespeare—one would be expected to engage it as writing as much as engaging it as sound.